What’s Poppin’ Tonight! Privilege Mondays presents FABOLOUS + Bernice Burgos at Studio 23 ~ Phresh Hott New! Tonight! 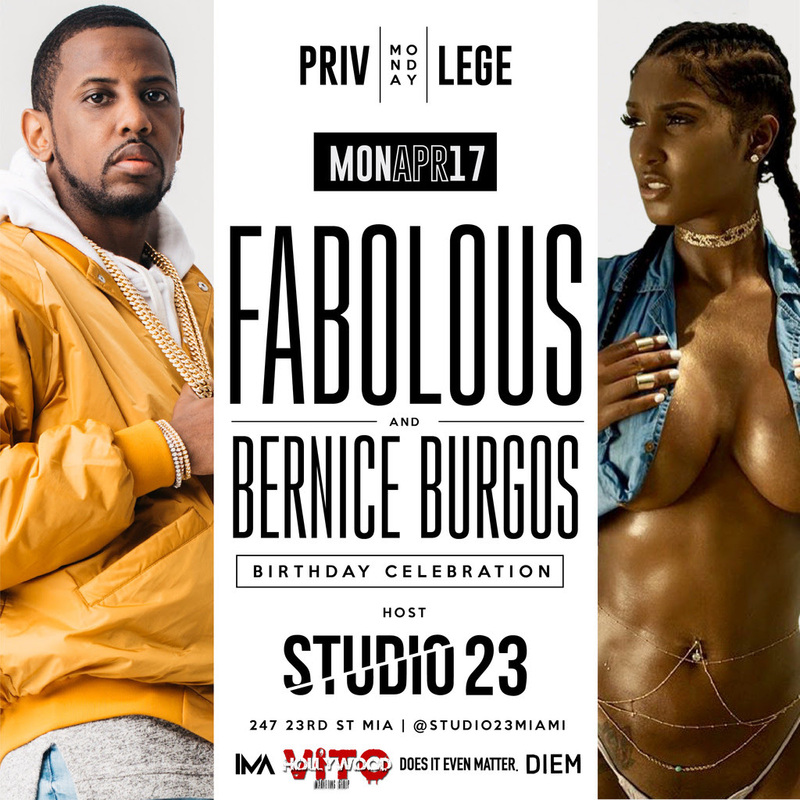 Phil The Mayor and CEO Shake present Privilege Mondays featuring FABOLOUS and Bernice Burgos Birthday Celebration at Studio 23. 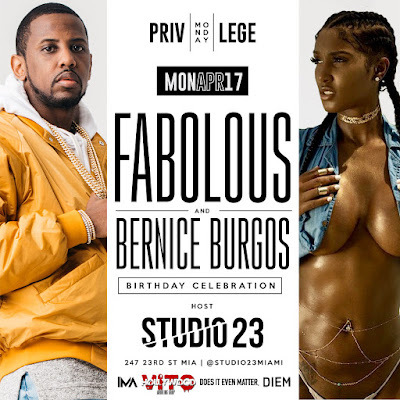 #Miami This Monday - FABOLOUS @myfabolouslife Hosts #PrivilegeMondays @STUDIO23Miami | BERNICE BURGOS Celebrity Birthday Celebration | The number 1 Monday Party in the world! | @CEOShake x @Philthemayor MONDAY April 17th w/ a couple surprise celebrity guests #LITTY Again! Location: Studio 23 | 247 23rd street Miami Beach FL 33139 | Miami's newest multi-million dollar multi-purpose venue!